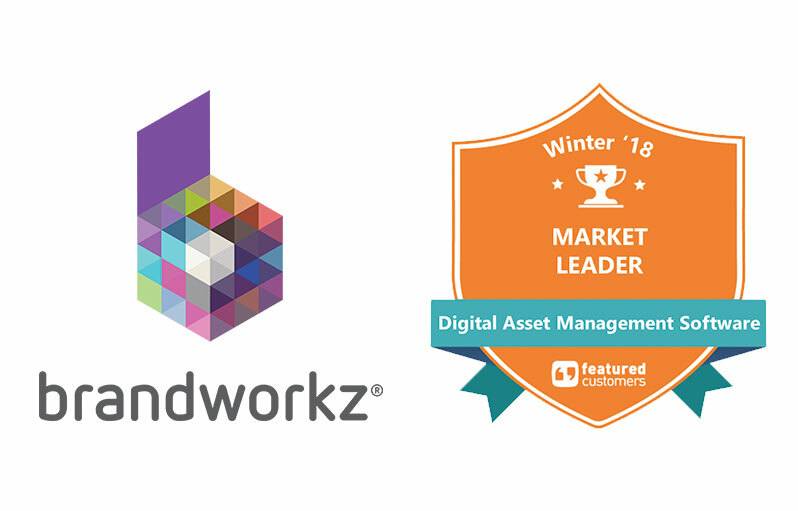 Brandworkz has been named a Market Leader in the Digital Asset Management Software category for the Winter 2018 Customer Success Report published by FeaturedCustomers. FeaturedCustomers is a customer success content marketing platform for B2B business software and services. FeaturedCustomers evaluated all the potential Digital Asset Management Software companies on its platform for possible inclusion in the report. Only 19 companies meet the criteria needed for being included in the Winter 2018 Digital Asset Management Software Customer Success Report. Brandworkz received an overall score of 88 earning a Market Leader award in the category. The Customer Success Report is based on the curation of authenticated case studies, testimonials, and reviews from across the web, telling a complete story of vendors in the Digital Asset Management Software space through real customer experiences. Scores are determined by multiple factors including number of total reviews, customer success content, social media presence, and vendor momentum based on web traffic and search trends. Market Leader – The Market Leader designation is awarded to vendors with substantial customer base and market share, and enough customer success content to validate their vision. Highly rated by customers, Brandworkz consistently publishes high quality vendor-produced customer success content and receives quality customer reviews from multiple third-party sites such as G2 Crowd and Capterra. Brandworkz delivers a cloud-based brand management platform designed to be the centralised content hub of the marketing ecosystem. Brandworkz enables organizations to increase the power of their brands significantly and improve the brand experience their customers receive. Users can share marketing content, create and edit artwork, collaborate with colleagues and partners globally, and buy in to the brand promise. Customers see greater business success by increasing marketing efficiency and communicating their core message consistently through everything they do.